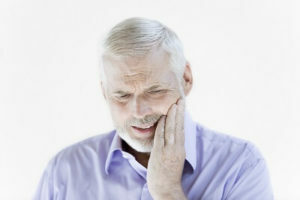 Dental anxiety and dental phobia are serious conditions. They affect millions of Americans and cause untold amounts of discomfort. Dental anxiety and dental phobia also prevent millions of people from getting the dental attention they require. This is a big deal because when people don’t go to the dentist twice per year, their health will deteriorate and many complications will follow. Between 9% and 15% of Americans avoid going to the dentist due to dental anxiety and dental fear, but these two conditions are not the same thing. Dental anxiety is defined as an abnormal fear or dread of visiting the dentist for any type of treatment, even routine preventative care. Dental phobia, on the other hand, is a much more serious condition. Dental phobia leaves people panic-stricken by the mere thought of visiting a dentist. Even when people realize that this fear is irrational, they are unable to reduce the phobia without engaging in some form of psychological intervention. It is clearly essential that dentists, psychiatrists, social workers and counselors work together to come up with strategies and practices to combat the effects of dental anxiety and dental phobia. There are also strategies that patients who suffer with dental anxiety and dental phobia have successfully adopted to help neutralize the effects of dental anxiety and dental phobia. Dr. Richard Grubb and our entire team at Family Implants and Restorative Dentistry in Havre de Grace, Maryland are committed to providing our patients with the best possible dental care. And this includes everything we can do to provide our clients with a friendly and comfortable atmosphere. Give us a call at Family Implants and Restorative Dentistry in Havre de Grace to schedule a checkup. Please let us know in advance of your appointment if you are feeling any type of fear or anxiety. Together, we’ll come up with a strategy to help get you through this.